Fiber optics, with its high bandwidth capacities and low attenuation characteristics, is considered to be the ideal building equipment in the telecommunication field. Depending on the type of application and the reach to be achieved, various types of optical fiber may be considered and deployed. This article is devoted to provide solutions to the questions about fiber optic cables. After going through the whole passage, you might form a basic understanding of optical cables. 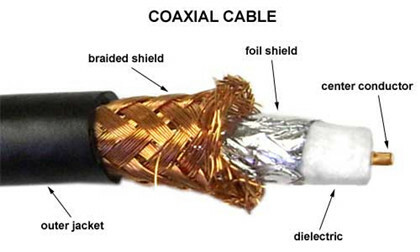 Core and cladding are the two main elements of an optical fiber. The core as shown in the image below, is the axial part of the optical fiber made of silica glass, which is the light transmission area of the fiber. The cladding is the layer completely surrounding the core. The refractive index of the core is higher than that of the cladding, so that light in the core strikes the interface with the cladding at a bouncing angle, gets trapped in the core by total internal reflection, and keeps traveling in the proper direction down the length of the fiber to its destination. There is usually another layer, called a coating surrounding the cladding that typically consists of protective polymer layers applied during the fiber drawing process, before the fiber contacts any surface. As we all known, the most typical types of fiber optic cable are MM fiber patch cords and single mode fiber optic cables. Fiber optics use light pulses to transmit signals from one end to another. Light passes through the optical cable, bouncing off the cladding until it reaches the other end of the fiber channel, which is called total internal reflection. The diameter of the core corresponds directly with the angle of reflection. As this diameter increases, the light requires more reflections and a greater amount of time to travel a given distance. For example, single mode fiber optic cable has a smaller diameter core which makes itself suitable for long distance, higher bandwidth runs. Multimode fiber, however, has a larger diameter core and is more commonly used in shorter cable runs. What You Need to Know About Optical Fiber? Light is gradually attenuated when it is propagated along the fiber. The attenuation value is expressed in dB/km. It is a function of the wavelength (λ), meaning that the operating wavelength to transmit a signal in an optical fiber is not any wavelength. It corresponds to a minimum of attenuation. The typical operating wavelengths that light sources have been developed for are 850 nm and 1300 nm in multimode, and 1310 nm and 1550 nm in single mode. For a 850 nm operating wavelength, there is a 3dB light attenuation after 1 km propagation. 3 dB means that half of the light has been lost. Bandwidth is a measure of the data-carrying capacity of an optical fiber. For example, a fiber with a bandwidth of 500 MHz.km (Mega-hertz kilometer) can transmit data at a rate of 500 MHz along one kilometer. Bandwidth in single mode fibers is much higher than in multimode fibers. How to Link Two Optical Fibers? This operation usually needs a fusion splicer to accomplish the process. In this method, optical technician directly links two fibers together by welding with an electric arc, by aligning best possible both fiber cores. Compared with other method, this linking method is fast and relatively simple to make. And the light loss generated by the welding, due to an imperfect alignment of the cores, remains very weak. However, just as the coin has two sides, this link method has drawbacks. In spite of a protection of fusion by a heat-shrinkable tube, this type of link is relatively fragile. It is a permanent link. What’s worst, the fusion splicer is usually very expensive. In this case, it is necessary to terminate a connector at each end of the fibers to be connected. 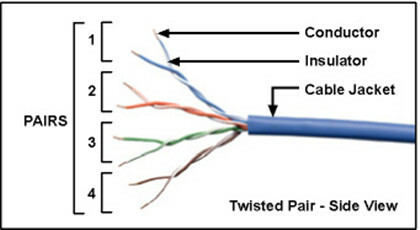 The two fibers can then be connected by connecting the two connectors together. The following picture shows a SC fiber patch cord. Just as the following picture shows, this type of connection is robust. The type of connector can be chosen according to the application field of the system. Unlike fusion splice, this connection is removable. 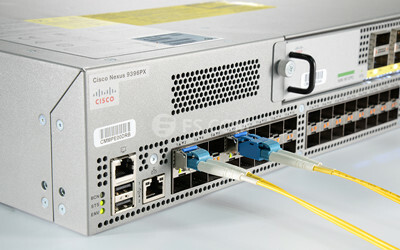 It is possible to connect and disconnect two fibers hundreds to thousands times without damaging the connectors. But the implementation is longer than fusion, and requires an experiment as well as specific tools. Furthermore, the light loss due to connection is higher than in the splicing solution. 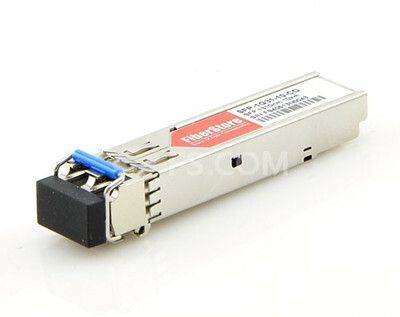 Why to Choose Fiber Optics? Lower loss: Optical fiber has lower attenuation than copper conductors, allowing longer cable runs and fewer repeaters. Increased bandwidth: The high signal bandwidth of optical fiber provides a significantly greater information-carrying capacity. Typical bandwidths for multimode fibers are between 200 and 600 MHz.km, and > 10 GHz.km for singlemode fibers. Typical values for electrical conductors are 10 to 25 MHz.km. Immunity to interference: Optical fibers are immune to electromagnetic and radio frequency interference and also emit no radiation themselves. No detection: Standard fiber optic cables are dielectric, so they cannot be detected by any type of detector. Electrical isolation: Fiber optics allows to transmit information between two points at two different electrical potentials, and also next to high voltage equipments. Decreased size and weight: Compared to copper conductors of equivalent signal-carrying capacity, fiber optic cables are easier to install, require less duct space, and weight about 10 to 15 times less. The Internet nowadays is largely based around optical fiber. For those who do not understand fiber optics, they will have confusion and misconceptions when working with fiber optic networks. This article probably will not make you an optical engineer, but it will guide you to touch on a little bit of every topics, from the theoretical to the practical even if you aren’t designing optical networks. 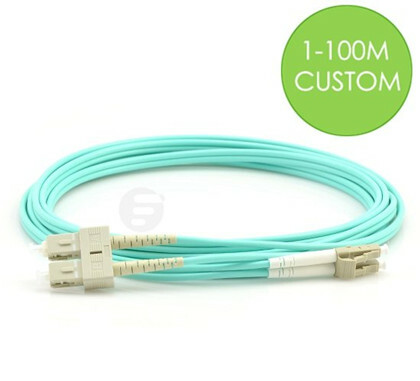 FS.COM offers s variety of fiber optic cables with the highest quality and low price. If you are interested, you can contact us. Optical technology nowadays has made huge progress to meet the growing requirement for high-density multifiber applications in telecommunication field. 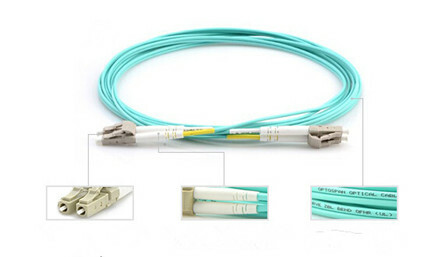 Fiber optic splitter, as an indispensable equipment for fiber optic network, enables signals on an optical fiber to be distributed among two or more fibers. Optical cable splitter typically can be divided into FBT (Fused Biconical Taper) splitter and PLC (Planar Lightwave Circuit) splitter. Each type has advantages and disadvantages when deploying them in a passive optical network. This article will guide you to form a basic knowledge about fiber optic splitter, especially FBT splitter and PLC splitter. Optical splitter, also known as a beam splitter, is based on a quartz substrate of an integrated waveguide optical power distribution device, which is used to split the fiber optic light evenly into several parts at a certain ratio. Since splitters contain no electronics nor require power, they are an integral component and widely used in most fiber optic networks. The diagram below shows how light in a single input fiber can split between four individual fibers (1×4). Optical splitters are manufactured commonly in two types according to its working principle—FBT (Fused Biconical Taper) splitter and PLC (Planar Lightwave Circuit) splitter. Splitters can be built using a variety of single mode fiber patch cables and multimode optical fibers and with most connector types for various applications. FBT Splitter—FBT is a traditional technology that two fibers are typically twisted and fused together while the assembly is being elongated and tapered. The fused fibers are protected by a glass substrate and then protected by a stainless steel tube, typically 3mm diameter by 54mm long. FBT splitters are widely accepted and used in passive optical networks, especially for instances where the split configuration is not more than 1×4. The slight drawback of this technology is when larger split configurations such as 1×16, 1×32 and 1×64 are needed. The following picture shows a FBT splitter with a split configuration of 1×2. PLC splitter—A PLC splitter is a micro-optical component based on planar lightwave circuit technology and provides a low cost light distribution solution with small form factor and high reliability. It is manufactured using silica glass waveguide circuits that are aligned with a V-groove fiber array chip that uses ribbon fiber. Once everything is aligned and bonded, it is then packaged inside a miniature housing. PLC Splitter has high quality performance, such as low insertion loss, low PDL (Polarization Dependent Loss), high return loss and excellent uniformity over a wide wavelength range from 1260 nm to 1620 nm and have an operating temperature -40°C to +85°C. The following picture shows a PLC splitter connected with LC LC single mode patch cord. FBT splitter is one of the most common splitters, which is widely accepted and used in passive networks. FBT splitter is designed for power splitting and tapping in telecommunication equipment, CATV network, and test equipment. The product is well-known and is easy to produce, thus reducing cost of production. Splitter ratios can be customized. Can work on three different operating bands (850nm, 131 Onm, and 1550nm). Restricted to its operating wavelength. Because of errors in equality insertion loss, the maximum insertion loss will vary depending on the split and increase substantially for those splits over 1:8. Because an exact equal ratio cannot be ensured, transmission distance can be affected. High temperature dependent loss (TDL). The operating temperature range is 23 °F- 167 °F. Any changes in temperature can affect the insertion loss. The larger the split, the larger the encapsulation module. Susceptible to failure due to extreme temperatures or improper handling. 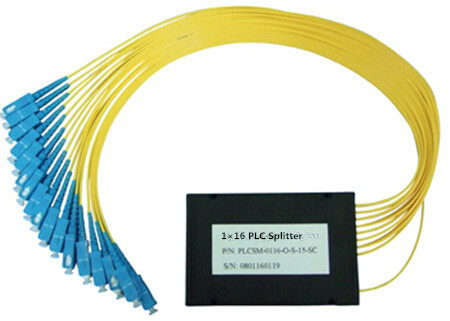 PLC splitter is a hot research at home and abroad today, with a good prospect of application, which is used to distribute or combine optical signals. It is based on planar lightwave circuit technology and provides a low cost light distribution solution with small form factor and high reliability. Suitable for multiple operating wavelengths (1260nm–1650nm); unstinted. Equal splitter ratios for all branches. Compact configuration; smaller size; small occupation space. Good stability across all ratios. High quality; low failure rate. Costlier than the FBT splitter in the smaller ratios. Similar in size and outer appearance, PLC and FBT splitters provide data and video access for business and private customers, but internally the technologies behind these types vary, thus giving service providers a possibility to choose a more appropriate solution. FS.COM provides a full range of optical fiber splitters for you to choose from. If you are interested, you can have a look at it.